Effect : Perform amazing card magic with ease! 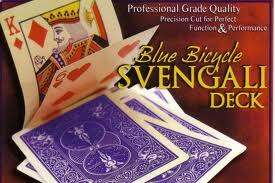 Show the cards are all different, then ask a spectator to choose one, and return it to the deck. Instantly, the chosen card has jumped to the top of the deck! Cut the deck, and it jumps to the top again. As a finale, show the cards, and they have ALL changed to the chosen card!